We started off the day hearing a message from Jesus calling and spending time in prayer listening to the Lord. We asked the team to listen for a word from the Lord that describes how he sees them. Some of the words shared were “bright”, “strong”, “tender hearted” and “beauty”. Our team has truly been blessed by the Lord our Father. 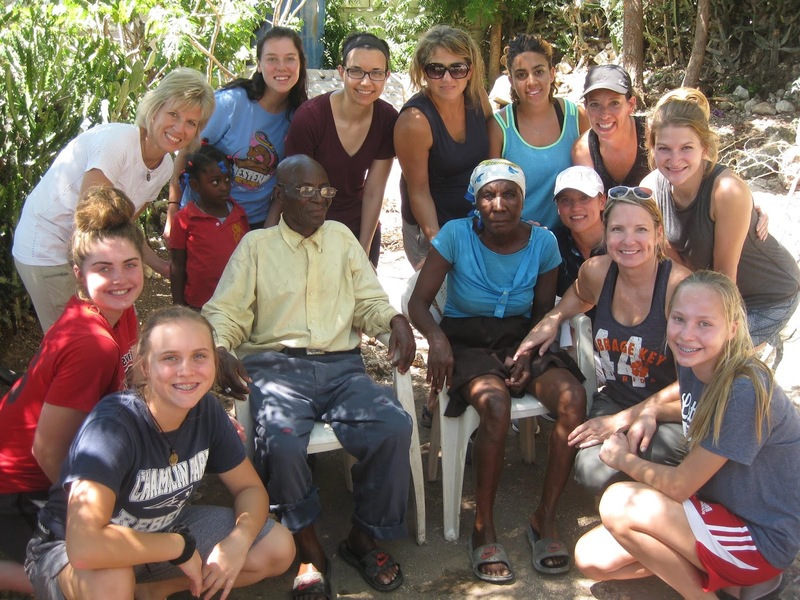 Our team remains healthy, team relationships are strengthening, we have been given the opportunity to focus on increasing our faith, serve the Lord and the Haitian people. Our team visited the mass grave site where approximately 300,000 people that died in the 2010 earthquake are buried. The Haitians have built a beautiful memorial and garden. We then made our way to Grace Village that consists of an orphanage, school, clinic, dentist, bakery and restaurant. Our team ate delicious pizza and enjoyed some Haitian appetizers. The highlight of the day was our elder visits, specifically Pierre and Lauremise. Pierre told us the story of how he met his wife of one year. He was walking down the road and when he saw her, he asked her to slow down so that he could catch up to her. He has such a joyful spirit that filled our team hearts with love and laughter. We had an opportunity to wash their feet, give massages, provide lunch and drinks. Our team also asked for their prayer requests and laid hands on them to pray. All four elders asked for healing prayers; I invite readers of our blog to pray for them. On the ride home, I asked our interpreter if there were any tent cities left in Haiti and he said “no”. It has been amazing to see the restoration that has taken place since the earthquake as well as the growth and transformation of Healing Haiti. My the Lord continue to provide His blessings, favor, joy, love and protection to the Haitians, the long term missionaries and our team.